Last year 31,000 people died of cold in the winter months and many of those who died were over 75 years old and living lonely and isolated lives. 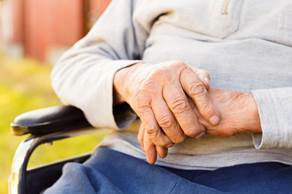 Loneliness has been described as the ‘curse of old age’ and despite organisations and charities set up to solve the problem with the growing and ageing population, loneliness in old age is set to continue to plague our senior citizens. Estimates place the numbers of old people that feel lonely all or most of the time at around 800,000. Ann Goodman, the Policy and Research officer at The Campaign to End Loneliness says her organisation was set up as a network of groups to adjust loneliness. They campaign and share good-practice whilst engaging in research and helping to influence policy on connections with older age people. She told the Muslim Association of Britain that although loneliness is growing partly because the UK has an increasing growing percentage of old people; however, interestingly the percent of people who report loneliness has stayed since the 1940s at 10% of the total elderly population. In Britain, 10 million people are classed as elderly and are either living with a spouse, a relative or in sheltered housing where they strike friendship with neighbours and friends. Ann told MAB that there is not much research that suggests families are moving away from older age family members or that there is a breakdown in trust between old and young; however loneliness does seem to be influenced by bereavement – when close family members have passed on – and the individuals in question have few or no living relatives. Schemes to end loneliness include – Home Share –, which allows young people perhaps studying at university to share a house with an older person and take the opportunity to provide companionship. The schemes seems to have gone down well across the continent, but has had limited success in this country. Ann seemed to feel that the absence of student dormitories and living accommodation in those countries make the idea of sharing a home with an elderly people at a reduced rate more appealing. The Home Share idea has been tried in London where rents are more expensive and gives student opportunities to live in areas close to their places of study for reasonable living rates. Traditionally, it is perceived that elder people from Muslim families may be less likely to suffer from loneliness and receive greater care and attention from families; however, with the pace of life in the UK this tradition may be in jeopardy. Do Muslim elderly people in this country suffer from loneliness?